Professor of Otorhinolaryngology /Unit Chief department of ENT and Head and Neck Surgery, National Academy of Medical Science, Bir Hospital. Registrar, NAMS, Bir Hospital 15th June 2008 – 5th august 2008. 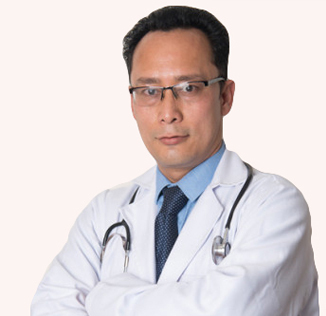 Lecturer consultant, Department ENT, Nepal Medical College Teaching Hospital. Lecturer ,Department of ENT,College of Medical Science, Bharatpur, Nepal From 29 sept 2004 to 03 April 2006. Fellow of Head and Neck Surgery and Oncology: International Federation of Head and Neck Society IFHNOS) and Memorial Sloan Kettering Cancer Center USA.2015-2017. Advance fellowship training in head and neck Oncosurgery in memorial sloan Kettering cance r center ,New York ,USA under Mentorship of Prof.DR Jatin Saha. Fellowship in Endoscopic Sinus Surgery from MCV Trust ENT Hospital, comboiter, Tamilnadu, India. 3rd Nepal Temporal Bone Dissection and Ear Surgery Course.From 13th May to 16th May 2003 Tribhuvan University Teaching Hospital,Kathmandu. 1st National Functional Endoscopoic Sinus Surgery Course from 24th – 27yh June 2007,organized by Institute of Medicine and Department of ENT- Head and Neck Surgery,TUTH. Attained instruction courses, Barcelona Spain, July 2-6, 2011 with 18CME credits by European Accreditation Council for Continuing Medical Education. Co2 Laser Training Course, held at Bombay Hospital, Prince Aly Khan Hospital and Seth G.S. Medical College and K.E.M. Hospital India from 20-22, 2012. Attained instruction course on 15th Asian research symposium in Rhinology 24-26 May 2012, Singapore. Participated on 7th workshop on phonosurgery held from 16th to 18th August 2013 at Bombay Hospital and K.E.M. Hospital, India. Attained Facial Plastics and Rhinoplasty training workshop held on 8th to 10th December 2014, India, Institute of Medical Sciences, New Delhi, India. Basic Life Support and advanced Cardiac Life Support Skill Training from 15th to 19th March ,1999 in Bir Hospital, Kathmandu, Organized by Taurarga Hospital, New Zealand. Multi-Agency Training for Crimes against women and Children from 17th July 2000 to 23rd July 2000, Organized by UNICEF, British embassy, Kathmandu and Nepal Police. Workshop on Improving the Doctor – Patient Relationship and Stress the –job from 26thNovember 2003 to 28th November 2003. Organized by Medical Education Department, IOM, Tribhuvan University, and Kathmandu, Nepal. District Health officers Training from 5th February to 13th March 2000, at Department of Health services, Kathmandu, Conducted by MOH/DHS/HIMDD & WHO. Recipient of 2015 International Observership fellowship programmed of International Federation of Head and Neck Oncology Society. Recipient of Travel Grant award in First European CE-ORL HNS, Spain, Barcelona-2011.